As Head of Digitalisation and Social Relations for VDP.Die Prädikatsweingüter, Katja Apelt DipWSET is at the forefront of the elite association’s digital transformation. 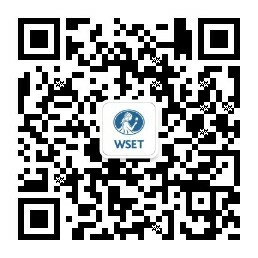 She reveals the aims of the new online platform and how her WSET education influenced its purpose. With digitalisation becoming increasingly important for wine businesses, what initiatives are you working on to put digital at the forefront of your business? Today digitalisation presents big challenges to wine businesses especially with e-commerce causing great shifts in distribution and sales. But it also offers huge opportunities – particularly for a wine association like VDP.Die Prädikatsweingüter. It allows us to make the foundation of our vintners’ values, the great terroirs of Germany, visible and accessible to people around the world. Our 195 members are among the best wine estates in Germany. Our logo, the VDP.Eagle, marks the finest German wines from these great terroirs. Never before has it been possible to present the details of wine origins in such depth. In a mega project, the VDP has digitalised all classified VDP.Vineyard sites: the VDP.Erste Lage® vineyards, which correlate in terms of quality to the Premier Crus of Burgundy, and the VDP.Grosse Lage® vineyards – similar to the Grand Crus. These great vineyards are now accessible from every computer or tablet around the world via a digital map - VDP.Vineyard.Online - that also gives access to photos of the vineyard sites, descriptive texts and information about climate, soil and geography. The VDP.Wine Estates are also linked so you can discover how the wines are produced and where they are sold (the VDP itself is not involved in the sales of their members). We are also currently working on a change in communication. We increasingly use social media platforms to address new and younger peer groups and create awareness and enthusiasm for VDP.Wines and VDP.Wine Estates. Like many other graduates, I became a specialist on terroir with knowledge of which soils and climate conditions influence the wine styles of a region or vineyard. This knowledge was very helpful to me in selecting the data we wanted to share. Who is Vineyard.Online designed for and what do you hope they will gain from it? The labelling of German wines is widely viewed as complicated. The German wine law of 1971 confuses consumers by linking quality levels to sugar levels rather than provenance and terroir. The VDP has always strived to reconnect wine quality to origin and has established its own quality hierarchy: VDP.Gutswein as basic quality, VDP.Ortswein as the first wine of provenance, and the single-vineyard wines from VDP.Erste Lage® and VDP.Grosse Lage®. This quality pyramid is now used by many wineries, even those that are not VDP.Members. With VDP.Vineyard.Online we aim to make our classification transparent for wine professionals, wine educators and wine lovers all around the globe. Transparency is one of the great gifts the digital era is giving us. We are using this to make the wine world, which has become increasingly complicated over the last decades, a little more understandable again. As a WSET Diploma graduate, did your WSET education play a role in influencing the content and purpose of the site? Of course! During studies for my WSET Diploma at the Austrian Wine Academy, I went through the great and challenging learning process of how to evaluate wines and what is important in assessing wine quality. Like many other graduates, I became a specialist on terroir with knowledge of which soils and climate conditions influence the wine styles of a region or vineyard. This knowledge was very helpful to me in selecting the data we wanted to share. The steepness of a vineyard, for example in the Mosel or Mittelrhein in Germany, can be absolutely breathtaking. Only by seeing a picture of a vineyard like Uhlen in Winningen, does one get a feeling for what a 50 percent gradient means and truly understand that vines can only be tended by hand, because no vehicle can climb such a slope. My studies were also helpful for finding the right partners to deliver climate data and many other things that were necessary for the project. VDP.Vineyard.Online is now live, but is also a work in progress. I think, you can only share enthusiasm and knowledge by building a bridge to people’s expectations. The WSET knowledge gave me the consciousness to anticipate this. As the world’s largest trade fair for top German wines, what goes into organising the VDP.Weinbörse and what can visitors expect to taste and learn? The VDP.Weinbörse, the VDP’s annual spring trade fair, is THE place to experience the newest vintage of Germanys top wine makers. 181 of our members will be presenting a broad range of wines from the 2017 vintage, a small but very good year in Germany. Visitors can taste wines from Riesling, Grauburgunder (Pinot Gris) and Weißburgunder (Pinot Blanc) to Pinot Noir and Lemberger (Blaufränkisch). All VDP.Classification categories can be found with the exception of the wines from VDP.GROSSE LAGE®. They will have their debut on 1 September. Compared with large, international trade fairs, the VDP.Weinbörse is “klein aber fein” as we say in Germany – in English you might say, “good things come in small packages”. Demand for wine and spirits education in Germany is rising with WSET experiencing a 26% increase in candidates last academic year. What do you think is driving this growth? German wine consumers have become more aware of what they are drinking. We have seen a trading up in the market over the last decade with the average price of a bottle of wine rising by almost 33% to 3,90 Euros in 2018 according to market research at Statista. Although prices are still low, this process of trading up corresponds with consumer desire to learn more about wine. VDP.Weinbörse will take place on 29 and 30 April 2018 in Mainz. For more information or to register visit www.vdp.de/en/ or Facebook (@vdp.praedikatsweingueter / @vdp.wineestates).